A total of 763.7MW across five projects were awarded contracts in Alberta's second and third renewable energy tenders, as prices inched up to C$39/MWh (US$29.12/MWh) from the record-low bids in the province's first auction one year ago. The Alberta Electric System Operator (AESO) awarded 362.9MW in the second round — more than the 300MW it aimed to procure — with prices ranging between C$36.99/MWh and C$38.97/MWh. In the third round, the regulator allocated 400.8MW across two projects — above its 400MW target — with successful bids of between C$38.60/MWh and C$41.49/MWh. The five projects awarded across the two tenders are expected to be online in mid-2021. Alberta’s first wind power tender in December 2017 had a weighted average price of C$37/MWh — a record low price in Canada — in a range of C$30.90/MWh to C$43.30/MWh. The four winning projects had a combined capacity of nearly 600MW. The three wind farms awarded in the latest round will be built in partnerships with First Nations groups, to fulfil the requirement of a minimum 25% indigenous equity component, AESO stated. Ontario-based Capstone Infrastructure Corporation’s 48.3MW Buffalo Atlee wind farm, which it will build in partnership with the Sawridge First Nation. Potentia Renewables’ two-phase, 193.8MW Jenner Wind site. Both tender rounds were oversubscribed, with nine companies entering 18 projects into the second round, and 12 companies entering 26 wind farms into the third round. Alberta’s energy minister Margaret McCuaig-Boyd said: "Alberta isn’t just a proud leader in oil and gas; we’re a leader in renewable energy, too. Once again, these low prices are beyond expectation." Under its Renewable Electricity Program, Alberta plans to develop 5GW of renewable energy to reach a target of 30% clean energy by 2030. 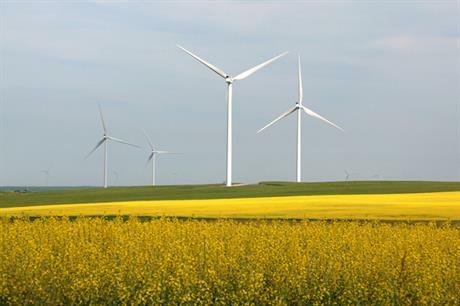 The province currently has 1,482MW of online wind capacity, according to Windpower Intelligence, the research and data division of Windpower Monthly.